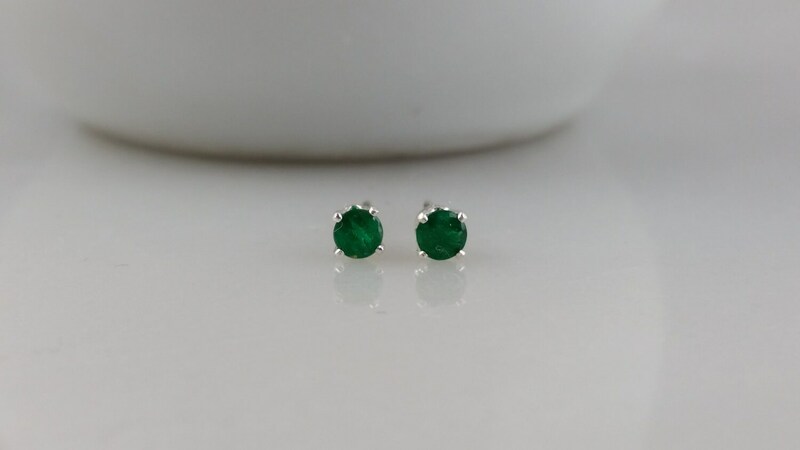 Simple, elegant and classic, these natural 3mm A grade Emerald stud earrings are the perfect go to earrings for any occasion! 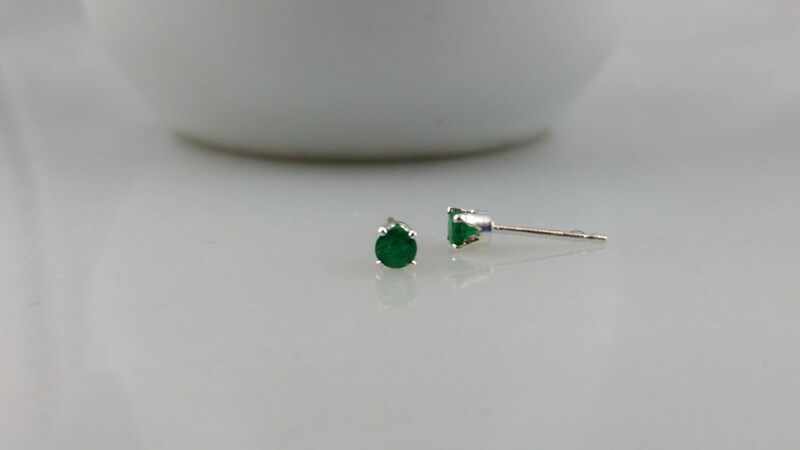 These 3mm faceted Emerald stones are hugged by a sterling silver post setting. Emerald is the birthstone for May! 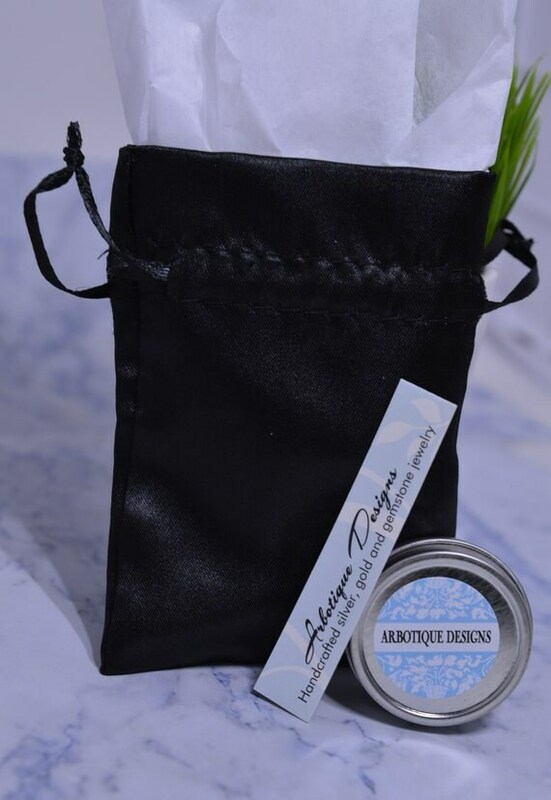 Sterling Silver ear nuts are included with these earrings. 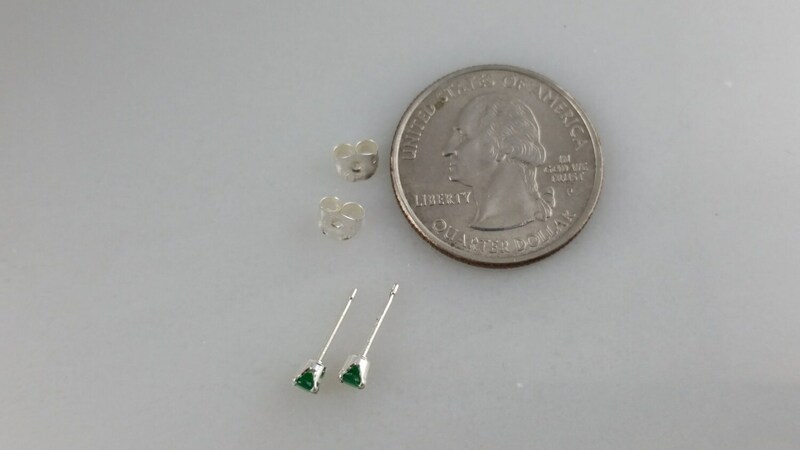 Please note, these are small, 3mm stones.